"Today we had a scary incident on the Great Race, but we wanted you to hear the story. 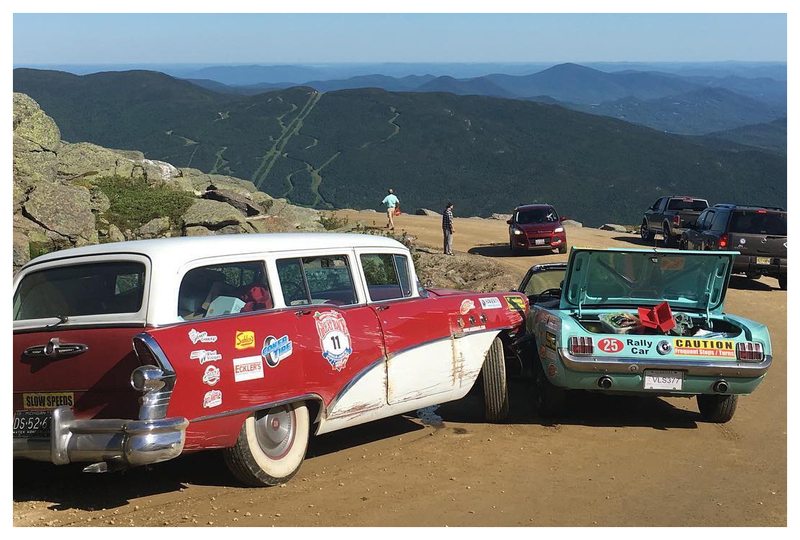 The beautiful Buick station wagon lost its brakes as it descended the Mount Washington Auto Road. After a bit of a wild ride, the Buick was stopped by the heroic actions of a fellow racer, Scott Henderson. He jumped in front of the runaway Buick to keep his Great Race Brothers out of harms way. The two teams were in great spirits and the Hendersons were able to finish the day with some pretty great scores." #thegreatrace #hemmings — with Beech Hill Automotive. 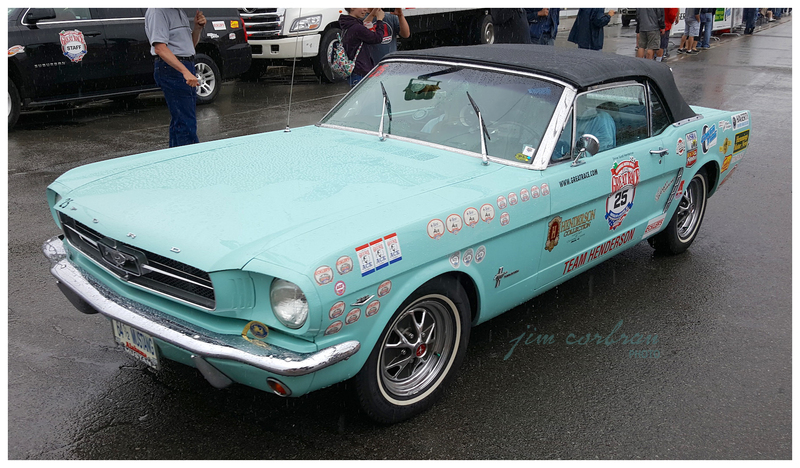 At the bottom of the page is the 1964-1/2 Mustang being run by Scott and Mary Henderson of Mobile, Alabama, also seen at the start of the race. Now that’s sportsmanship!